Sinclair Condiments is run by Milton Keynes based Nik, who has turned his home kitchen into a condiments production line! I hear he churns out as much as 500 bottles of condiments every week! 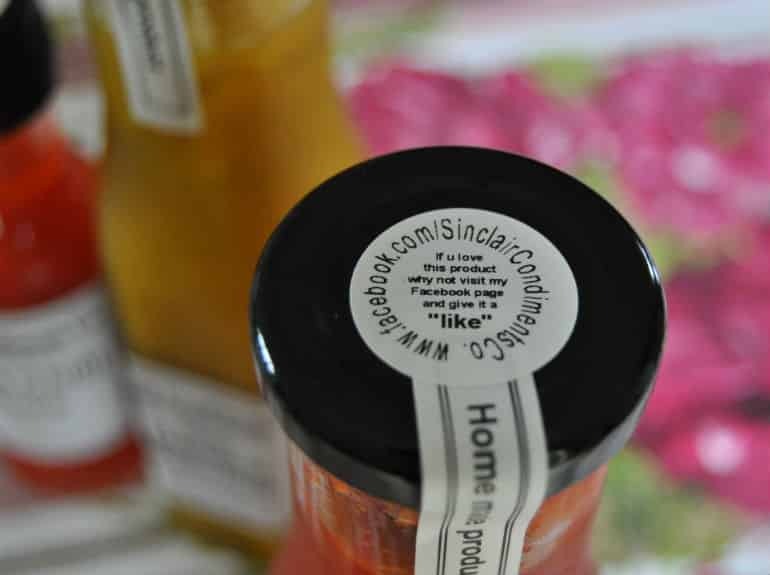 Despite operating out of a domestic kitchen and marketing through social media alone, Sinclair Condiments has won big time recognition with a number of awards under its belt, including ones from the BBC Good Food Show and a Gold Taste award. I like to think of myself as worthy of judge of a condiment, given my love for them. I’m the girl in the burger shop painstakingly applying every sauce available to my food, the one who gets giddy at the selection of chutneys available at Christmas, the one who unashamedly polishes off half a bottle of ketchup with her Nandos. I know a good sauce when I taste it. 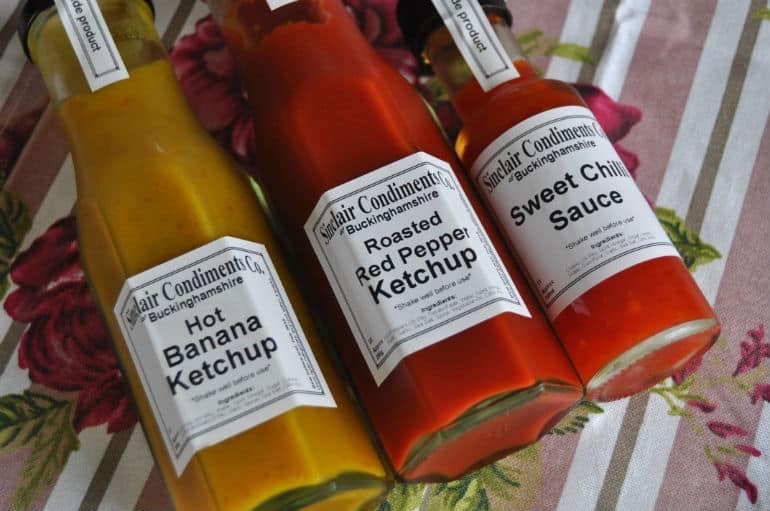 Nik very kindly sent me three of his creations to try: familiar sweet chilli, a twist on a classic with red pepper ketchup and his unusual hot banana ketchup. The latter made me chuckle because banana ketchup has always confused me: is it sweet or savoury? Do you dunk your chips in it or pour it on your ice cream?! Good condiments need a good edible vessel to be tasted on. 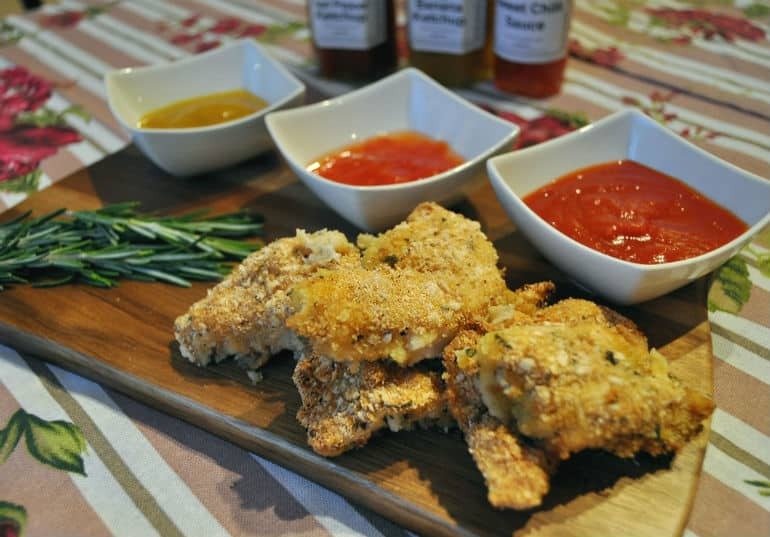 So I rustled up some home made chicken dippers, recipe to follow soon! The roasted red pepper ketchup is appetising from the title alone.I really love the chunky glass bottles these ketchups come in. It has a lovely rich red with a consistency similar to tomato ketchup, but with a little more texture. It smells really fresh and tangy, and on tasting it the Earthy red peppers really sing through followed by a tangy undertone of tomato. 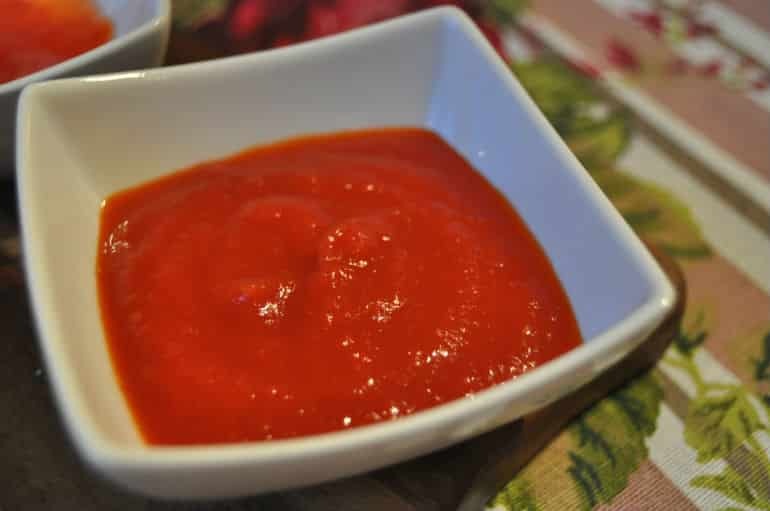 Overall it’s an incredibly moreish, easy-to-eat ketchup, big fan! 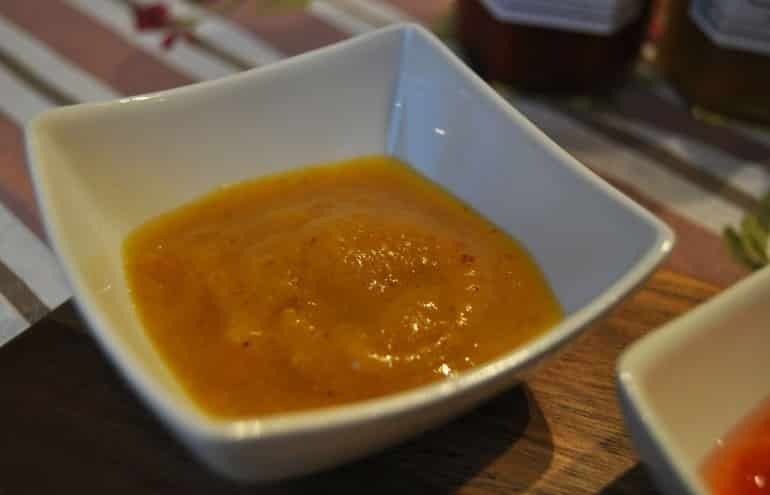 The sweet chilli needs a good shake before you pour, but oozes out all sticky and satisfying. The smell is refreshingly less sickly than what I’m used to with shop bought ones and the sweetness, whilst not being over powering, has a lovely jammy flavour about it. The spice levels are quite hot, but it’s a warm, glowing heat. And finally the bizarre banana ketchup! This is Sinclair Condiments’ most popular product and do you know I might just be a convert. I was expecting to open it up and smell nothing but banana, but instead I got a noseful of aromatic spices and deep smokiness. There’s a fruitiness in the flavour, but again it’s not really a banana taste, more of a mellow sweetness before a wave of scotch bonnet heat rushes up on you. It finishes with those complex spices that had me going back to try more in a bid to figure them out. Top notch flavour balancing in this ketchup. If you want to stock up on Sinclair Condiments you can do so through the Facebook page. 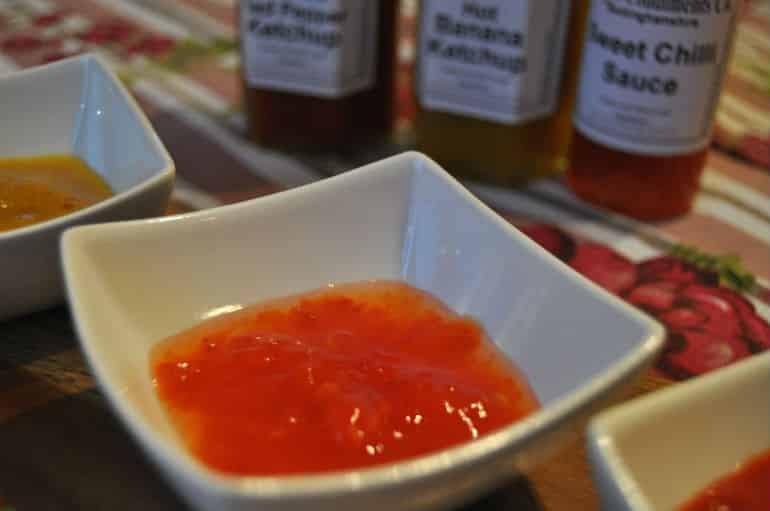 These condiments will be perfect for the coming BBQ season! Oh wow, banana ketchup?! I’m not a massive ketchup fan, but I think I’d make an exception for that one! I reckon it would go really well on a hot dog with some fried onions… Mmm bring on BBQ season!